The BSE Sensex fell over 82 points in early trade today on weak global cues after President Donald Trump pulled the US out of the landmark Iran nuclear deal, fanning fears of an escalation in geopolitical tensions. Crude oil prices zoomed past USD 76 per barrel mark amid foreign capital outflows and depreciating rupee. Asian shares ticked down as renewed US sanctions on Tehran were seen as disruptive for oil supplies. 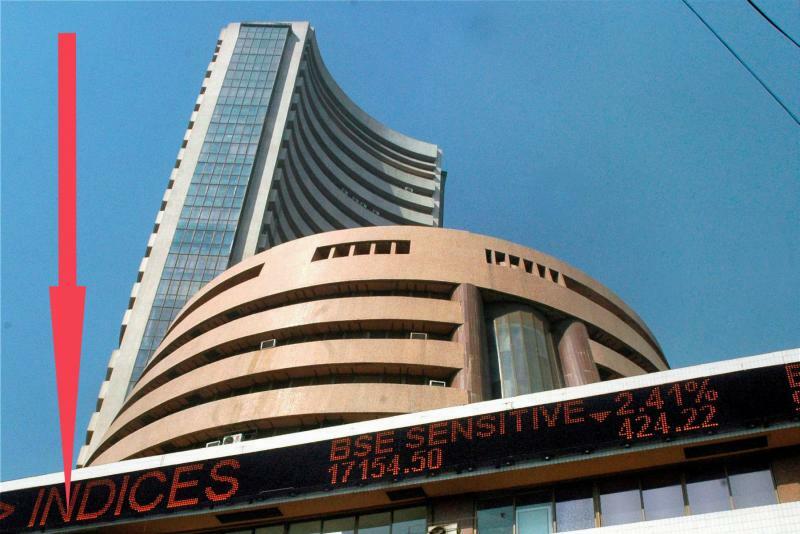 The 30-share Sensex fell by 82.12 points, or 0.23 per cent to 35,134.20. Sectoral indices led by oil and gas, PSU, banking, realty, auto, capital goods and power declined by up to 0.83 per cent. The Sensex had gained 300.94 points in the previous two sessions. The 50-share NSE Nifty also slipped below the 10,700-mark by shedding 27.95 points, or 0.26 per cent, to 10,689.85. The laggards were ICICI Bank, HDFC, SBI, Axis Bank, Bharti Airtel and Adani Ports, falling up to 1.46 per cent. However, IT stocks spurted after the rupee depreciated against the dollar. TCS rose 0.86 per cent, Infosys 0.59 per cent and Wipro 0.06 per cent. Meanwhile, on a net basis, foreign institutional investors (FIIs) sold shares worth Rs 97.15 crore, while domestic institutional investors (DIIs) bought shares to the tune of Rs 923.25 crore in yesterday's trade, provisional data showed. Among other Asian markets, Hong Kong's Hang Seng shed 0.04 per cent, while Shanghai Composite Index lost 0.16 per cent in early trade. Japan's Nikkei fell 0.43 per cent. The US Dow Jones Industrial Average, however, edged up 0.01 per cent in yesterday's trade. The rupee plunged by 37 paise to 67.45 against the US dollar in early trade today following surging demand for the greenback as crude oil prices zoomed past USD 76 per barrel level amid foreign capital outflows.